Charter Bus Key West, FL. Key West Shuttle Buses in Monroe County, Florida offers cheap airport shuttle bus service to Key West International Airport (EYW) and VIP Bus Service to Miami International Airport (MIA). Our Shuttle Buses in Key West are ready to pick you up and drop you off with complimentary chauffeur and baggage service. Our drivers will even hold a sign up for you in baggage claim, giving you first-rate VIP treatment. 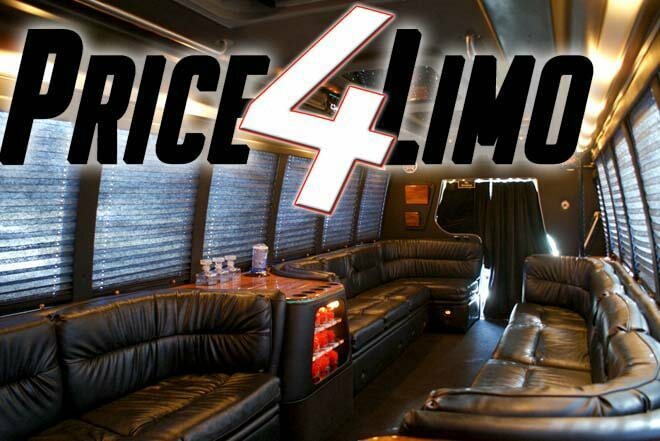 Price 4 Limo's Charter Bus service in Key West can be used as a wonderfully luxurious tour bus or activity bus for a tour group visiting Key West. 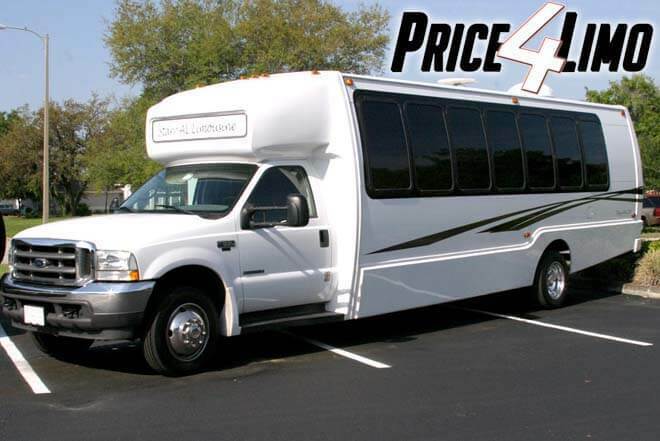 Preview Key West Party Bus and Limo Fleet. Hire a VIP Bus in Key West for a trip to Key West Butterfly & Nature Conservatory or let one of our chartered buses drive you on the beautiful Overseas Highway, spanning the entire length of the keys --- 110 miles of amazing views. Here for the Boat & Holiday Parade? The Food & Wine Festival? Or the annual Fantasy Fest – Key West's own "Mardi-gras" style week long street celebration? We can take you around, drive you wherever you want to go. As long as you need ground transportation, bus service, a mini-coach bus – we are right here for you. Fort Zachary Taylor beach is the best beach in Key West and we drive tour groups from around the world to this beach where they snorkel, admire the rocks, ride the bike trails, but some tourists want us to drive them to Fort Zachary just so they can see the amazing sunset at the intersection of the Gulf of Mexico and the Atlantic ocean. We provide all sorts of ground transportation for tour groups, families, or private parties who want to see all that Key West has to offer. Whether you're here for sailing, golf, or a birthday party; Key West Buses will get you where you want to go. Key West Buses in Monroe County offer cheap luxury transportation services for college students and faculty all at any affordable rate. We're available for groups and small businesses, religious services of all kinds like Bar Mitzvahs or Christenings -- our services can't be beat and are offered to anybody no matter what the occasion for a flat rate, seven days a week, 365 days of the year – even on New Year's Day. Our shuttle charter buses can be used as Beach Buses for Spring Break parties, where no one has to worry about finding parking or driving after a long night of dancing and partying. 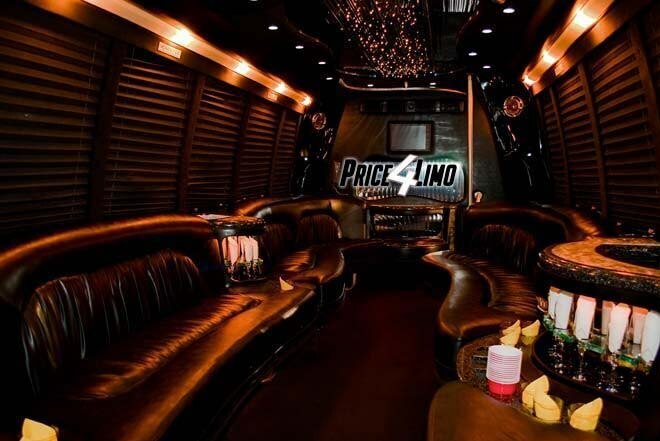 Our luxurious exclusive VIP charter buses can get you to the swanky nightclubs for a DJ filled night full of dancing and fun where you can leave your inhibitions behind at the Garden of Eden – the best place to dance on Duval Street. We can get you there and back home to your hotel safely and easily. So enjoy yourself while we handle the madness of driving and traffic in Downtown Key West. 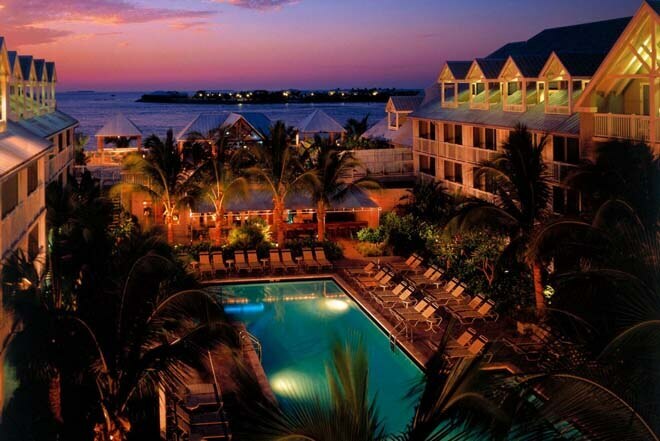 There are so many things to do in Key West why not let our skilled drivers take you to all the sights? Take a Shuttle Bus in Key West to see Harry Truman's winter white house which housed Presidents from Taft to Clinton during winter season, then let our shuttle bus bring you right back to your hotel before tee time at Key West Golf Club. Or maybe Price 4 Limo can provide a cheap ride to the observation decks in West Martello Tower beach or maybe you're more adventurous than you know and want to take the Vandenberg Wreck dive and see the remnants of the boat, as well as barracudas around you, with diving experts. And at night, we'll drive you and all the members of your family reunion together for a classy evening at Louie's Backyard for premiere Caribbean cuisine in an elegant dining room. 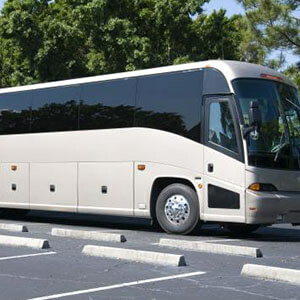 If you're in the keys on business, CEO you can take our Key West Corporate Bus Service so we can shuttle you and your company staff to the conference hall and then back to the hotel, whether it's the Waldorf Astoria or the Casa Marina or a tiny hut on the side of the beach – we'll get you there safely and make sure you get back to the airport on time. With Key West charter buses everyone will arrive in style and leave chatting about the Ernest Hemingway Home or the Audubon House & Tropical Gardens, which contains original Audubon engravings of Florida birds. And of course if you're a Spa fanatic and seeking wellness and peace – we can service you and your entire party with any number of fleets taking you to any of the resorts or many spas that Key West has to offer, such as the Prana Spa which offers everything from facials to massages. Key West offers a lot. But why should you get an overpriced car rental and then deal with all the traffic and congestion? Let our mini bus and shuttle service keep you relaxed and calm and excited about your visit, not stressed!